Jesus breathes on them giving the Holy Spirit to the disciples. They had been behind closed doors for fear of the Jews. He tells them that they may forgive sins and retain them. I have been wondering? Is Jesus telling the church to be the moral police as has so often been the interpretation of this passage? Or is he saying in another way what he said in so many other places, namely, that we are to forgive everyone? If we retain sins is it because we can choose whether or not to forgive OR because we are unwilling or unable to forgive? Did our Lord not tell Peter to forgive infinitely? If we do not forgive is it because we are able to inhale the holy breath? I am learning that deep breathing and fear are not compatible. Years ago and far far away I studied Yoga. The word comes from the Sanskrit and means union, from the words “to join”. Yoga is a technique for promoting “mindfulness.” — to become still and in that stillness to awaken and become conscious. To breathe and stretch promotes consciousness of one’s body one is present in one’s body. The yoga tradition says that each human being has a certain number of breaths to breathe in their lifetime. To breathe rapidly and shallowly is to waste our very life. Although I doubt there are a set number of breaths per life, shallow rapid breathing does not promote health. Is the same true in the life of faith? It is difficult to panic when breathing from the diaphragm. When we panic we breath faster and more often, which in turn promotes more fear and less thinking. When we are afraid we have more trouble forgiving than when we are centered. The gospel tells us that perfect or mature love casts out fear. When we are centered we can choose to love rather than become our fear. After Jesus breathed on the apostles they were no longer afraid. They went into the streets proclaiming the good news of God in Christ to the very people from whom they had earlier hidden. A century or so ago the airship was invented. What a wonderful thing people thought, to be able to travel through the air just like a bird. 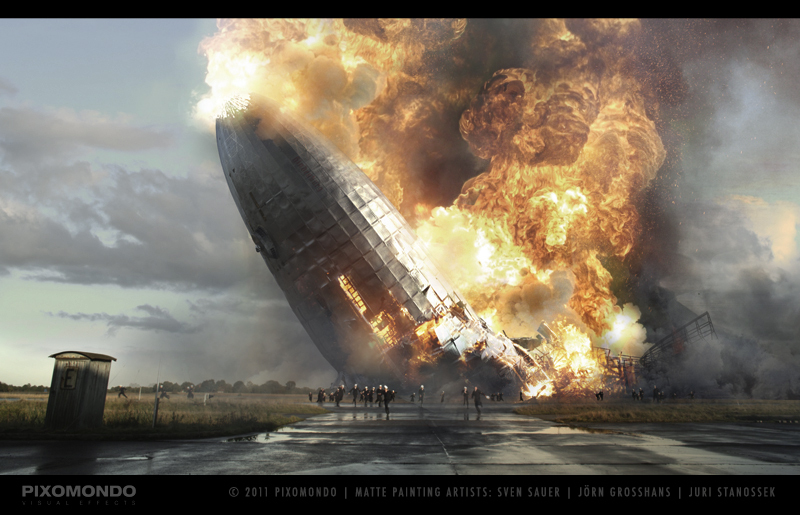 And then it was discovered that the airship was a dead-end invention. The invention that survived was the areoplane. When the first airships appeared, people thought there would subsequently be a linear progression, advancement to more refined, swifter models. But this did not happen. Instead, at a certain point there was a lateral development. After the Hindenburg went up in flames in 1937, [killing 35 people], things began to move in a different direction. At one time it seemed logical that you had to be lighter than air in order to fly in the sky – but then it turned out that you had to be heavier than air to fly more efficiently. The moral of the story is that in both philosophy and the sciences [and I would add life] you must be very careful not fall in love with your own airship. We must resist the temptation of thinking that we should know more than we can know. Life is unpredictable. But the Spirit is always present to guide us into all truth. If we breathe deeply of the breath of life that Jesus gave the disciples we can with courage live in the open place we call unpredictable. Let us go on the adventure of our lives. The Spirit is always present in the open place we call risk. The promise of our Lord is the gift of the Holy Spirit, the heavenly dove, the bird of open spaces, of the unpredictable, the risky and uncontrollable. Our part is to become quiet and be still, facing our fear that the love of God will be manifest in us. Yoga or whatever it takes. Wendell Berry speaks of the process in a poem from SABBATHS. fear prevents the breathing that produces song. Someone once asked a famous Mississippi doctor what she was going to do in the face of a crisis and she said, “I’m going to breathe in and I’m going to breathe out.” In matters of faith and the spirit it is the least and the most any of us can do.